FRESNO - The Big Fresno Fair has announced that it will be hosting the premier satellite wagering party to celebrate and watch the Belmont Stakes Saturday, June 7 as local, Valley-native California Chrome races with sights set to become the first Triple Crown of Thoroughbred Racing winner in 36 years. This year’s Belmont Stakes excitement begins at 8 a.m. when doors open in The Big Fresno Fair Brian I. Tatarian Grandstand. Estimated post-time is 3:52 p.m.
Making headlines across the country, California Chrome has captured American racing enthusiasts after his wins at both the Kentucky Derby and Preakness Stakes. California Chrome was foaled February of 2011 at Harris Farms in Coalinga, California, the horse breeding division of the Harris Ranch. He is the only California-bred horse to have previously won the first two races of the Triple Crown – sharply raising excitement and support among Valley racing enthusiasts to its highest peak in history. 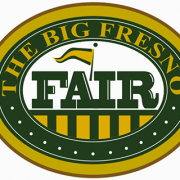 In support of the local champion, The Big Fresno Fair will be holding a food collection drive featuring any Harris Ranch product as it hosts the live horse racing excitement of the Belmont Stakes on Saturday, June 7. All those who bring any fresh or frozen Harris Ranch meat, prepared meal, seasonings or other Harris Ranch product will gain free admission into The Big Fresno Fair Brian I. Tatarian Grandstand to watch and wager via satellite, or just join in the party to cheer on California Chrome. All food will be donated to The Big Fresno Fair “Feed the Need” Community Food Drive partners The Salvation Army and Community Food Bank. For a list of Harris Ranch products and where they can be found, please visit www.harrisranchbeef.com. Admission to the Brian I. Tatarian Grandstand is $5, the plush VIP Suite is $10, a single seat at the Turf Club bar is $15 and a table of four in the Turf Club is $40. Parking is included and all Satellite Wagering guests must be 18 years or older to play. If guests can’t make it to the Fairgrounds, they can also enjoy the Belmont Stakes at Club One Polo Lounge & Event Center. Cost is just $15 per person and reservations are strongly recommended by calling (559) 497-3000. Polo Lounge guests must be 21 or older. Disney just bought a bunch of assets from Fox in a $71 billion deal. This marks its largest acquisition in a long line of large acquisitions. This video talks about that deal look at some of their significant acquisitions from the past 25 years and examine how big Disney currently is.